The problem with playing a game of chicken is that the outcome is uncertain up until the last second and the later you leave it the more likely it is to end in disaster. 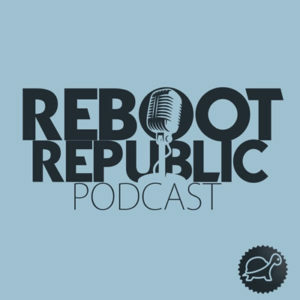 In this episode of Reboot Republic we are delighted to welcome back Guardian Columnist and British Political Commentator of the Year, John Harris, to talk us through the current state of the Conservative Party made mess, where Ireland and the border features in the politics of Brexit and the alternatives (if any) put forward by the Labour Party. It truly is a Brexit in Breakdown. Please support these podcasts by going to https://www.patreon.com/tortoiseshack, we really do need your help keep this pod on the road! Posted in Brexit, culture, economics, history, human rights, media, politics and tagged Reboot Republic.